Is your baby an art critic? A recent study from the University of Zurich revealed that nine-month old babies preferred the bold Cubism of Pablo Picasso over the Impressionistic strokes of Claude Monet. Twenty-four babies agree – the study showed that the infants set their gaze on Picasso over Monet every time. So why do babies seem to all have the same eye for art? For the study, the young subjects were shown the work of each artist. Twelve babies were shown a Picasso, twelve a Monet. They were then shown both artists’ work next to each other, and monitored for how long each gazed at each work of art. Remarkably, Picasso won Baby’s gaze on both the group who was originally shown the Picasso, and also by the group originally shown the Monet! The babies were then shown the pieces again with variations, focus was blurred, color reduced to black and white, but still it seemed that no matter what the experimenters did to alter the original pieces, Picasso was still the babies’ clear choice. Clearly too young for culturally formed opinions, researchers are hypothesizing that the bold lines and “contrasts in luminance” in Picasso’s work is what attracts the babies’ focus. 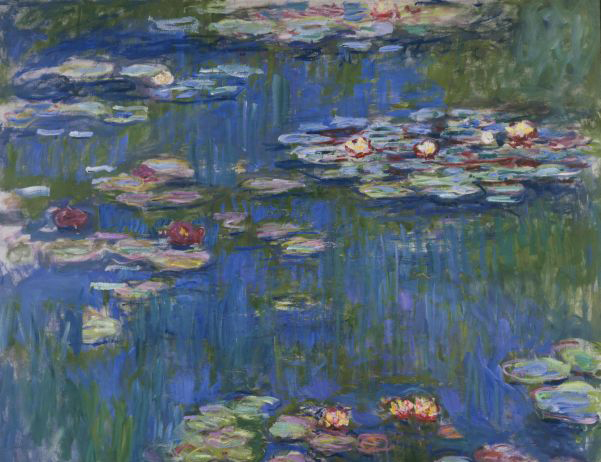 Monet’s soft Impressionistic method gradually blends color to the next, and creates an almost blurred effect. Both of these attributes remain constant when color of focus was removed, like in the secondary experiments, so the babies’ consistent choice of Picasso is no surprise! Picasso’s bold and simplistic lines and figures are easier for the babies’ developing systems to process, in addition to being visually stimulating to both baby – and parent! So when you’re looking for art to hang in your tot’s room, you might want to favor styles closer to Picasso than Monet. Is your baby an art critic? A recent study from the University of Zurich revealed that nine-month old babies preferred the bold Cubism of Pablo Picasso over the Impressionistic strokes of Claude Monet. Twenty-four babies agree - the study showed that the infants set their gaze on Picasso over Monet every time. So why do babies seem to all have the same eye for art?